Reading mode: Clear daylight to improve your alertness and work efficiency without irritating the eye. Studying mode: Neutral light to promote your attentiveness, increase your concentrate period while reduce tiredness. Relaxing mode: Provide pleasant warm tone light, reduce the proportion of harmful blue light produce by PC, tablet and smartphones. Sleeping mode: Gives a cozy and comfortable light that will help to calm down and get ready for bedtime. 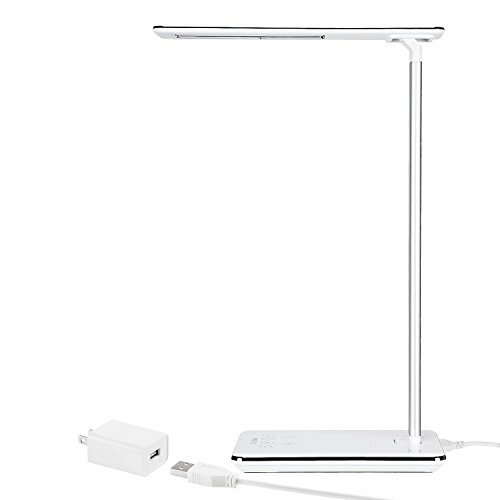 with simple and sleek lines, this foldable LED desk lamp is perfect to use in areas with limited space without too occupying. prolong the lamp's operation lifespan and prevent damage caused by overheating. Comes with 12 months product warranty for customer's rights and benefits, satisfaction guarantee.